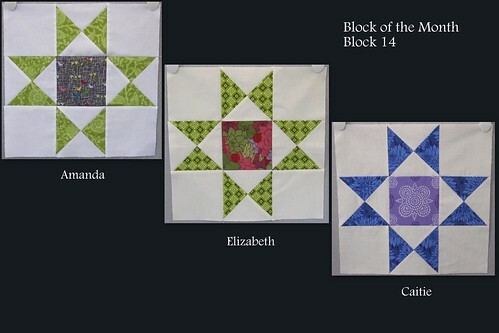 Gosh, I'm definitely behind on posting these blocks. This Ohio Star was our first block for August. It's a simple design with a lot of oomph, and I think we were each happy with our results. Check out those crisp points!